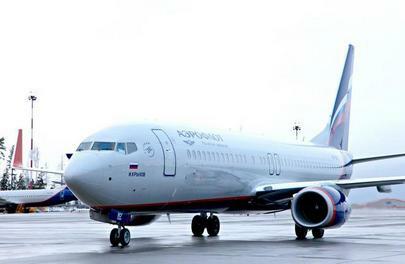 Russia’s largest airline, Aeroflot, has confirmed the delivery of yet another narrow-body Boeing 737-800. The aircraft, with tail number VP-BCF (serial number 41216/5767), is equipped to carry 158 passengers: 20 in business class and 138 in economy class. The aircraft arrived straight from the manufacturer and, according to open sources, is leased from Avia Capital Services (part of Russia’s state-owned Rostech Corporation). It has become the 16th aircraft of this type in the operator’s fleet. The previous Boeing 737-800 was received from the same leasing company in early February. As reported before by Aeroflot, the carrier signed a contract for an operating lease of 50 aircraft of the Boeing 737NG family from Rostech Corporation. More specifically, the contract includes Boeing 737-800 and Boeing 737-900ER aircraft. The number of aircraft of each type is to be defined by Aeroflot closer to the delivery date. The aircraft were supposed to be transferred in the period from September 2013 to 2017; the total lease time is 144 months. The Russian flagship carrier currently operates other narrow-body aircraft as well: Airbus A319/A320/A321s. Besides this, Aeroflot also operates wide-body Boeing 777 and A330 and regional Sukhoi Superjet 100s.